Going to the doctor can be an uncomfortable experience, from the poking and prodding to the often awkward questioning, things have the potential to get unpleasant. 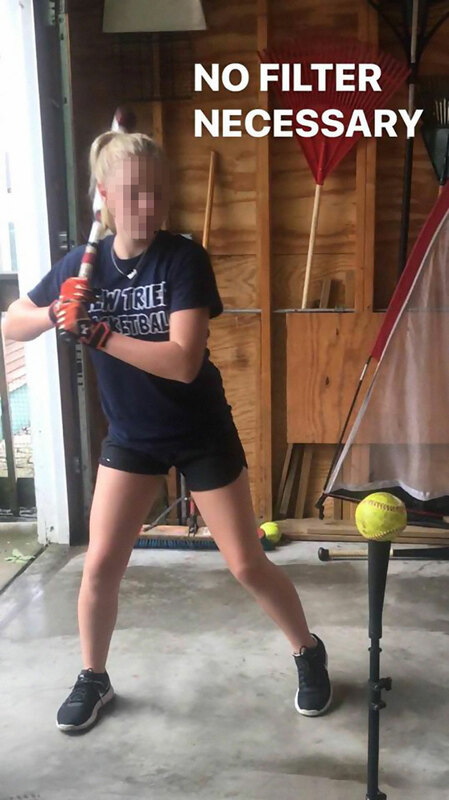 Well recently, mom and personal trainer, Julie Venn shared her daughter’s experience at her annual check-up on the Facebook page “Moms of Tweens And Teens” and let’s just say things escalated quickly. Venn noticed her daughter’s eyes start to well up and wrote, “I had a literal, physical reaction. I put my hand up and said, ‘STOP! You need to stop talking to my daughter about her weight. 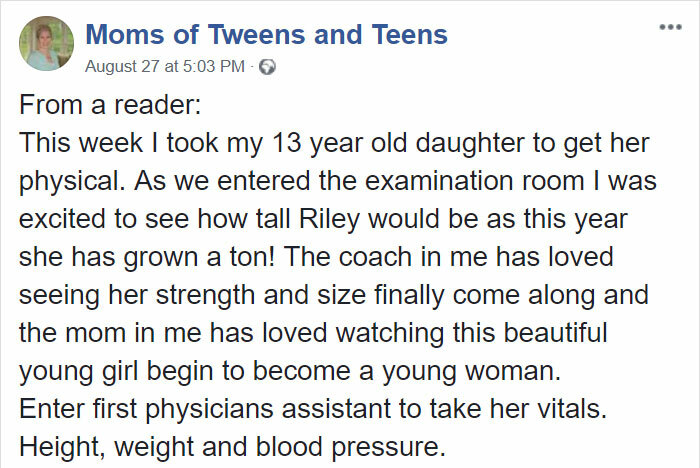 She is 13, she is strong. 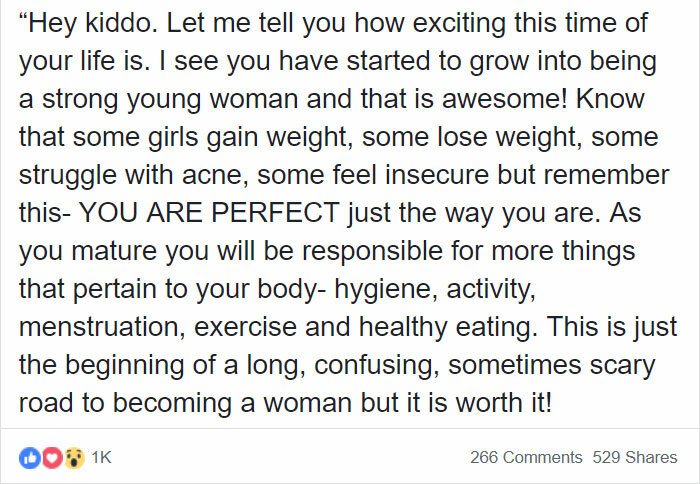 She is healthy and she is PERFECT. 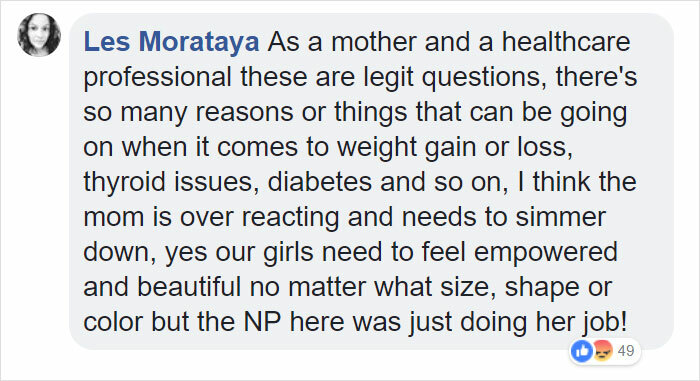 You need to move on!’ However, the mom didn’t stop there and lectured the nurse after the appointment about body empowerment. The responses to the post were varied. Some people found Venn and her message to be inspirational, while others said she had overreacted. Scroll down below to read her entire post and tell us your opinion!